LA Premiere On Your Mark, Get Set, MOW! LA Premiere for On Your Mark, Get Set, MOW! Can the sport of lawn mower racing be used to help save lives? Washington, DC, April 11, 2016 – All the thrills, chills, and spills of big time national circuit lawn mower racing comes to Downtown LA as the City of Angels plays host to the LA Premiere of a documentary film which shows how the sport of lawn mower racing is on the “cutting edge” in the battle of a deadly hereditary disease known as Huntington’s. On Your Mark, Get Set, MOW! will be one of several feature films, selected from hundreds of submissions to screen at the All Sports LA Film Festival Friday, April 15th at 2pm. 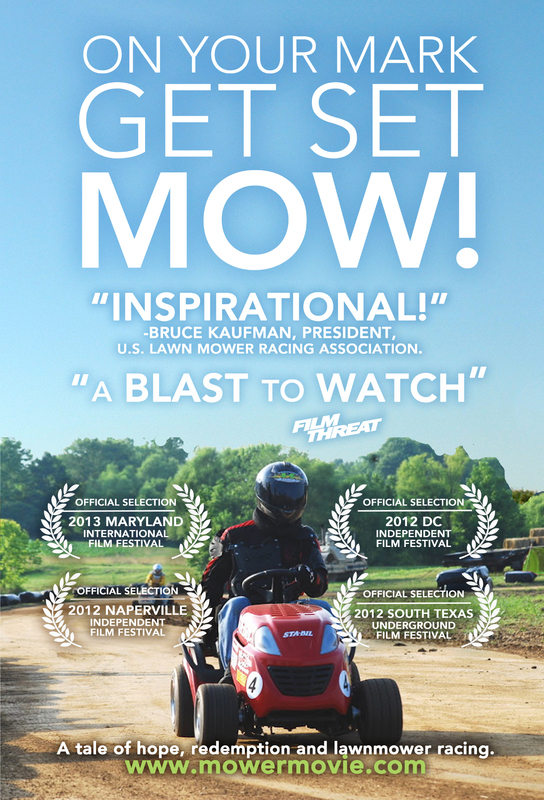 Through the use of on camera interviews with medical professionals, US congressmen, and Arlo Guthrie, who lost his father American folk icon Woody Guthrie to the disease, first time Washington, DC filmmaker Mike Ratel provides an layman’s explanation of the disease and how the sport of lawn mower racing is on the “cutting edge” in the battle against this disease. at the Coney Island Film Festival. 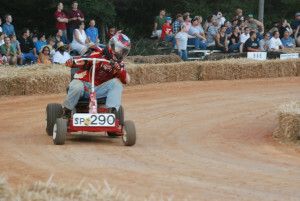 On Your Mark, Get Set, MOW! World Premiered at the 2012 Washington, DC Independent Film Festival. The film has also screened at several US film festivals as well as Bangkok, Thailand. User reviews and ratings on IMDb.com have been extremely strong and Filmthreat.com called it “a blast to watch”. Sport and the silver screen have a long and rich history and each year the All Sports La Film Festival celebrates their symbiotic relationship. Now into its seventh year, the festival goes far beyond merely honoring the classic sports movies we all know and love, and instead invites screenwriters and filmmakers to showcase works focusing on a diverse range of sports-themed topics. On Your Mark, Get Set, MOW! will screen at Regal Cinemas L.A. LIVE Stadium 14 1000 W. Olympic Blvd, LA on Friday, April 15th at 2pm. The family friendly film is appropriate for all but the youngest of racing fans.